Commercial and lifestyle photography from Glasgow, Scotland. We're all about story-driven photography, whether it's commercial, food, lifestyle, product or event photography. We absolutely love the challenge, especially when it comes to distilling the differential qualities of your business or product into a series of visual choices and decisions. We can also assist with art direction on a shoot, building around the set of defining factors we want to emphasise about the business or product. That means everything from the format of the photography and the style of editing, to the mise en scene, is tailored. We can be incredibly economical with our shoots, incorporating our video services into our photography projects for maximum return. Interior photography, food photography and lifestyle shots to capture the essence of one of Glasgow's favourite spots - a venue very close to our hearts. Product food photography with a strong lifestyle focus. 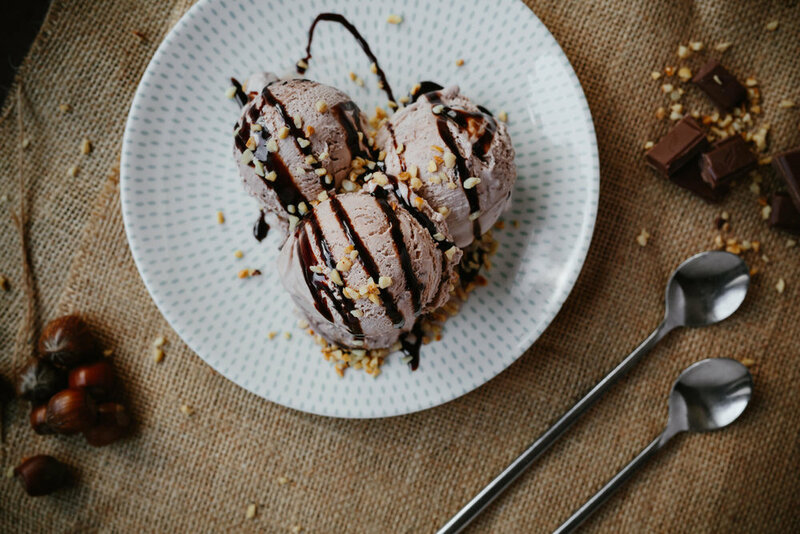 Ice cream is an absolute dream to shoot (and then eat), but you gotta be quick! On this project, we collaborated with the brand on the art direction and mise en scene. Shot on location in Copenhagen, Denmark, for Highland Park Whisky's launch of Valkyrie. A really fun mix of conceptual product-focused photography as well as more grounded lifestyle photography. On this project, we collaborated with the brand and with Danish designer Jim Lyngvild on art direction, styling and mise en scene. Can we shoot something awesome with you? We're always looking for the next project to work on, and we're obsessed with pushing the boat out. Get in touch with any queries at all - we'll send guide pricing right away, and there are no daft questions.